The first thing you’ll need to do is decide which Pi you’re going to use. There have been some significant architectural improvements over the years, and your best bet is to go with one of the model 3 boards, with quad-core, 64-bit CPUs for the database itself, although I’ve tested running the complete TICK Stack on the model 2 B, 3 B, and 3 B+. In addition, the single-core Zero makes a great platform for collecting sensor data with Telegraf. The most common way to use a Pi is with the Raspbian operating system provided by the Raspberry Pi foundation. 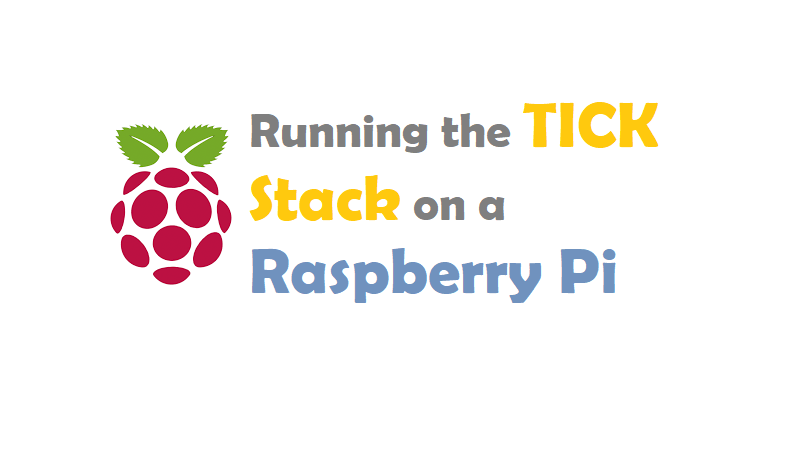 The easiest way to install the TICK Stack is to set up the InfluxData package repository (repo) and use your platform’s package manager, which on Raspbian is apt. Packages contain the application binaries themselves, as well as some information about where and how to install and configure the application on your system. That means you can get everything up and running with just a few commands, and InfluxData regularly publishes the latest versions of the TICK Stack to its repository, so applying updates is easy as well. We need the version codename, which you can find in the VERSION field, in parentheses. For the version I’m running, 9, the code name is stretch. We’ll use that when we set up our repo so that we can get the correct versions for our OS. sudo apt-get install telegraf influxdb chronograf kapacitor. If you want to only install some components of the stack, you can exclude the applications you don’t want from that command.